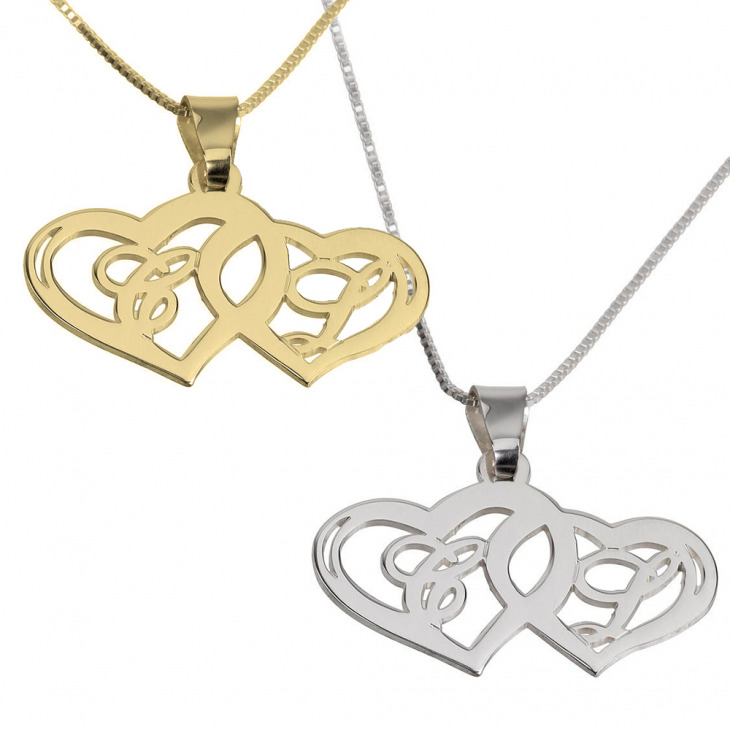 Capture your everlasting love with this simply exquisite Initials Necklace With Two Hearts necklace. 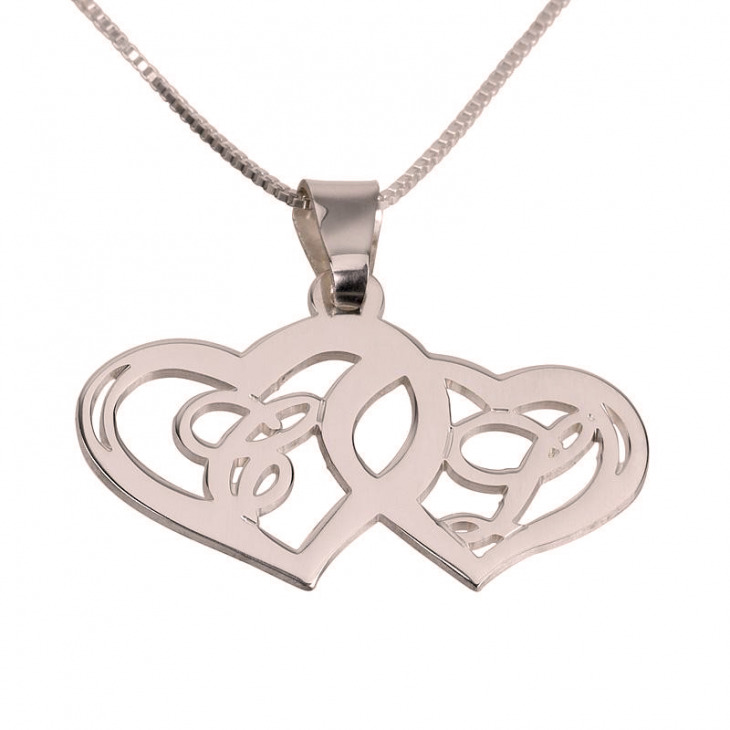 Two interlocking hearts are crafted with your very own personalized initials, in an elegant script font. Whether this is a thoughtful and unique Valentine's Day gift idea, or simply a way to surprise your significant other, what could be a more romantic and beautiful gesture of your love than a truly timeless pendant forever customized with your initials. Also available in 24K gold and rose gold plating, order now!